Charles Darwin, wrote The Origin of Species and forever changed the world. "It is not the strongest of a species, nor the most intelligent that survives. Instead, it is the one most responsive to change." Think about that when pursuing your music career. We obviously can't do everything all by ourselves. Sometimes we need some help. Actually if you think about everything you need, use and consume, we need lots of help. But often with our own projects or ideas, we are reluctant to ask for or seek out help, and this is one of the characteristics that separates those who achieve success versus those that don't. The characteristic that I am talking about is team building. This is thee ability to partner up with someone, or to hire someone to carry out a job more effectively than you or anyone currently working with you can. This quality has at least two major components; 1) realizing your own shortcomings and weaknesses 2) identifying and recruiting people who are more competent than you in those areas. I participated in 2 very different scenarios today, both of which were direct results of communication. In this scenario I worked as an intermediary. Basically somebody believed that they were promised something and did not receive it and were therefore pissed off. So much so that they made a threat. The person threatened reacted by no longer wanting to participate in an upcoming event because said person was also going to be participating. What's interesting is that the only thing that went wrong was the communication of what was expected. This example is yet to be resolved, but I firmly believe that this can still be easily resolved by simply explaining what each person understood and on that basis working out a new agreement as to what is expected. I was recently introduced to someone that organizes an event in DC that I want to participate in. After a string of introduction emails, this person agreed to give me a call on a certain date at a certain time. I waited and the call never came. Instead of being offended I sent a follow up email a few days later stating that I was writing in order to keep the pathways of communication open and that I was still very much interested in participating in the event in any way that I could. He replied, communication continued and 2 weeks later I got the gig! It no longer makes sense to buy albums from a consumer perspective, because it's much less expensive to just buy the few songs that you like. It no longer makes sense to make albums from an artist's perspective either. Instead of releasing a new album every 2 years or so, it seems much better (and easier) to release a new song every 2 months or so. You can release it directly to iTunes and Amazon via CD Baby, or better yet release it through the digital distributors but also maintain it as free download on your website. The real money comes from shows these days, all you are really trying to do is earn a slot on someone's iPod, you're simply trying to make it on to the playlist. You're fighting to remain relevant. And a new album every 2 years (even once a year) is not enough. Your true fans need new material every few months. In life we too often do not make firm decisions then stick with them till they come to fruition. We normally get an idea and then stick with it until it loses it's shine. Once the shine is gone we replace it for something else that gets us excited again. The problem with this approach is that it's not a very effective way to achieve any real results. But if you instead take a little bit more time when choosing a goal to pursue, it will become easier to stick with after the initial excitement of the shiny idea wears off. This is the key, you've got to know what you want. Then, even in the hard moments when you want to move on to something else, you push through the dip and keep your mind focused on the end goal. If you follow this formula everything becomes achievable. Code Blue is a Latino Hip-Hop duo comprised of William Dinero and M.O.S.T. Based out of Toronto, Canada, the group has a diverse ethnic background with William Dinero being half Argentinian and half Guatemalan while M.O.S.T. traces his roots to El Salvador. 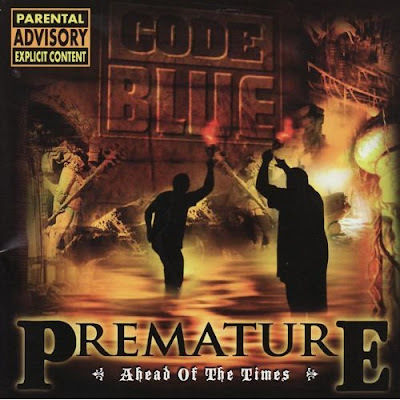 Premature [Ahead Of The Times] by Code Blue, is an incredible collection of 19 songs, each of which is a banger! This is Latino Hip-Hop at it's finest. Talent is not nearly enough. It won't keep you inspired. It won't give you the confidence to get on stage. It won't motivate you to write. All it does is give you a bit of an advantage (initially) on others that don't have the same natural gift. But that advantage, without hard work is quickly lost. Therefore, don't take your talent for granted, do not think you have it made because you have some natural chops. It's a gift, nothing more nothing less. Don Dinero is synonymous with Latino Hip-Hop. Having paved the way for Urban Latino artist's since before there was an established market for the genre, he continues to relentlessly release hit song after hit song. He is currently working on his first English language album entitled "Don Dinero presents Jose Kash". Do you do music to be famous? Or is it to be rich? Or do you create music because you love to and it makes you happy? All of these are perfectly sound reasons and most people would opt for option D; all of the above. But what if you had to choose one of these reasons over the others? What if you could be happy but not rich or famous? What if you could be rich but not famous? Or how about famous but not rich? If you had to choose one which would it be? This question helps me become more in tune with why I do music, I hope it helps you too. 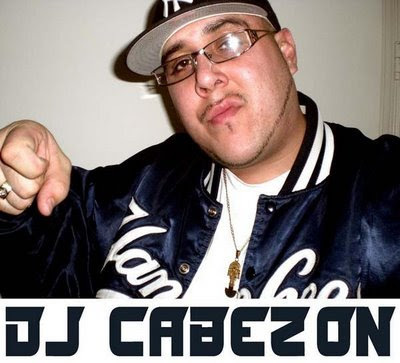 DJ Cabezon is one of the hardest hitting DJ's in Hip-Hop and an icon within the Latino Hip-Hop & Reggaeton community. He has blessed the community with mix after mix as can be seen by the extensive collection of his mixtapes available for free download at DATPIFF. 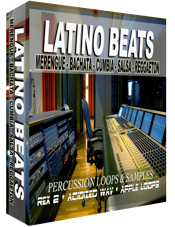 The mixtape featured below was released by DJ Cabezon in the Spring of 2009 and showcases the extensive underground talent found within the Washington Metropolitan Area. If you are a producer (or aspiring producer), and you're trying to find a source from where you can get unique and original sounding latin rhythms or that 'Dem Bow' Reggaeton sound you probably should check out Producer's Vault. They currently have a special bundle sale selling the three kits below, as downloads for $69.95. DC based Latino Hip-Hop specialist DJ Chele brings us a brand new mixtape this month with Conexiones Liricales Vol. 1. Well known within the underground Latino Hip-Hop scene, DJ Chele shows us his skills and expertise of the genre by putting together a great mix that will have you hitting rewind for weeks to come. This is the one summer mixtape you do not want to miss. Change has become a popular catch phrase in the media, but I don't buy for minute that change is always positive. As a matter of fact I prescribe more to the motto, if it ain't broke don't fix it. Or the devil you know is better than the devil you don't. I think that changing and embracing scientific and technological advancements is important. I think that change in the sense of psycological maturation is also important. So important, in fact that it should be done cautiously and intelligently. Less cavalier and more wiseman is the approach that I believe will lead you more often to success. If you apply this thinking when inevitably faced with change, you become a leader instead of a band wagon rider. And when it comes to your life, even when your wrong it's always better when at the very least it was your choice. When you think of Urban Latino music, the stars that come to mind are for the most part Reggaeton artist's. They are who you see in the media and they are the one's who dominate the airwaves. Especially in Latin America. The only Latino Hip-Hop artist that I can think of that is making any noise is actually Pitbull. Does Latino Hip-Hop have any stars other than Pitbull? But what we are missing in Latino Hip-Hop is the community that has developed around Reggaeton. 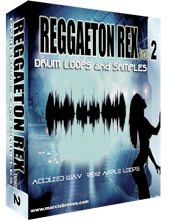 Reggaeton has been able to establish itself as it's own genre in great part due to the culture that has developed around it. Blogs, radio, websites, mixtapes, etc. 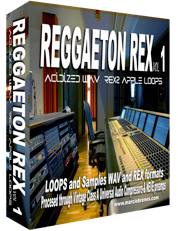 revolving completely around Reggaeton. Without a community to contribute and participate in Latino Hip-Hop, it will inevitably die. So organize yourself and help us create a community.